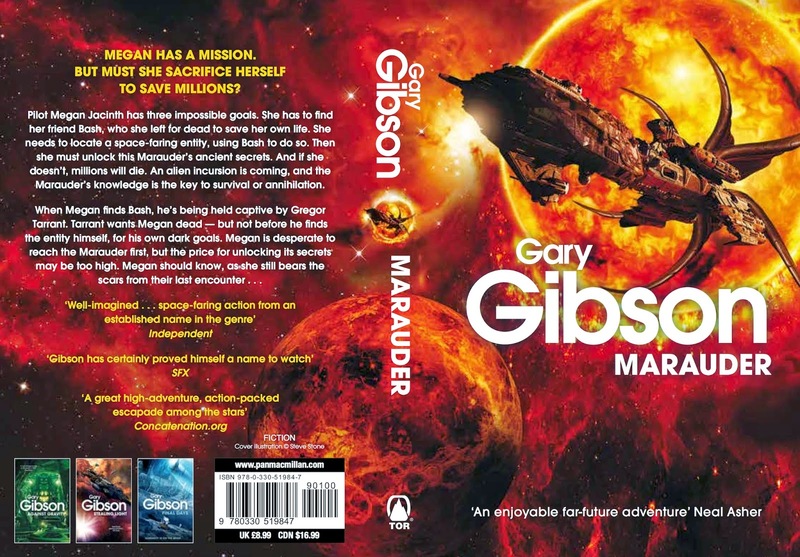 SF writer Gary Gibson: Upcoming: Extinction Game & Marauder paperback. Things are quiet here while I blast through the (mostly completed) first draft of the sequel to Extinction Game, which itself isn't due out for another couple of months. People often ask, what's your next book? When's it coming out? ...and then they get this kind of glassy-eyed look and back away. I'm finding it harder these days to say so much here in the blog because anything I can talk about, a hundred people are already discussing. There's a crapload of stuff I could talk about, but...I just don't have the energy to get into arguments. There are plenty of people out there far more skilled than me at stating their cases. I could, but that's time and energy I could use instead on writing stuff for which I actually get paid. And I'm not in the habit of stating my case regarding anything until I've researched it thoroughly, or at least feel I have a solid grasp on it, and that preference itself precludes much of what I could say from being said. Sometimes, I start writing essays, on things I think are interesting, but they often wind up as half-finished drafts because what I want to say, I want to say right. And then I run out of time, or simply forget about them. And by the time I remember, the internet has moved on. So for the moment let's just say things are rolling along, and I'm settling into the apartment I now live in, in Taipei. So there's that. It's that time of year when I do tell you what's coming next. July sees the publication of the paperback edition of Marauder, which first came out last year in hardback. 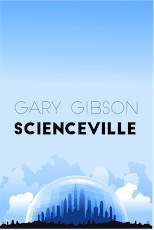 Here's the cover of that forthcoming paperback. After that, in September, the hardback of my next, and newest, book comes out: Extinction Game. You've already seen the cover. Click, bam, and no more Jerry Beche. No more last man on Earth. Just an empty house, and the wind and the trees, and the animals that had inherited the deserted cities and towns. Essentially, it's just the first few paragraphs of the book. But it feels really effectivc, I think, isolated and put on the cover like this. Here's the Amazon link, although obviously you'll be able to find it plenty of other places as well from which to buy it. Jerry Beche should be dead. But instead of dying alone, he's been rescued from a desolated earth where he was the last man alive. He's then trained for the toughest conditions imaginable and placed with a crack team of specialists. Each one is also a survivor, as each one withstood the violent ending of their own versions of earth. And their specialism - to retrieve weapons and data in missions to other dying worlds. But who is the shadowy organization that rescued them? How do they access other timelines, and why do they need these instruments of death? As Jerry struggles to obey his new masters, he starts distrusting his new companions. A strange bunch, their motivations are less than clear, and accidents start plaguing their missions. Jerry suspects the organization is lying to them, and team members are spying on him. 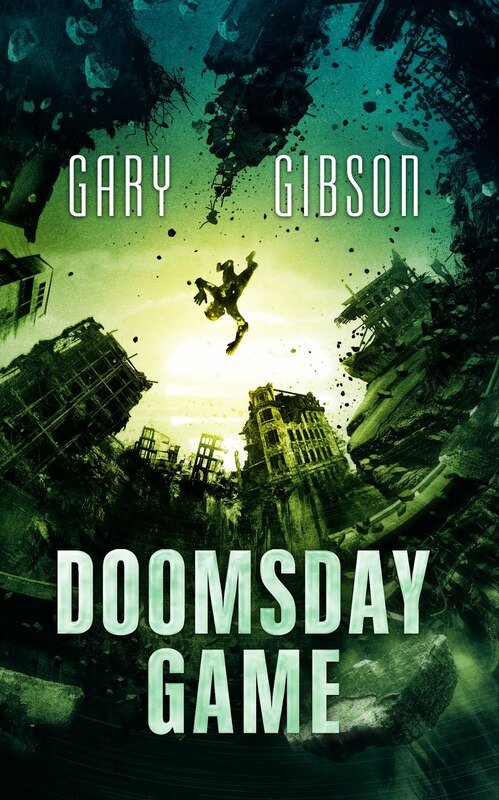 As a dangerous situation spirals into fatal, who can he really trust? In the meantime, I'm working on the sequel to Extinction Game. The working title is Extinction Road, but it's highly unlikely to have that title by the time it reaches publication. It might be called The Heim Sphere, or Pathfinders, or The Novy Empire, or something entirely different: hopefully inspiration will strike before that point.